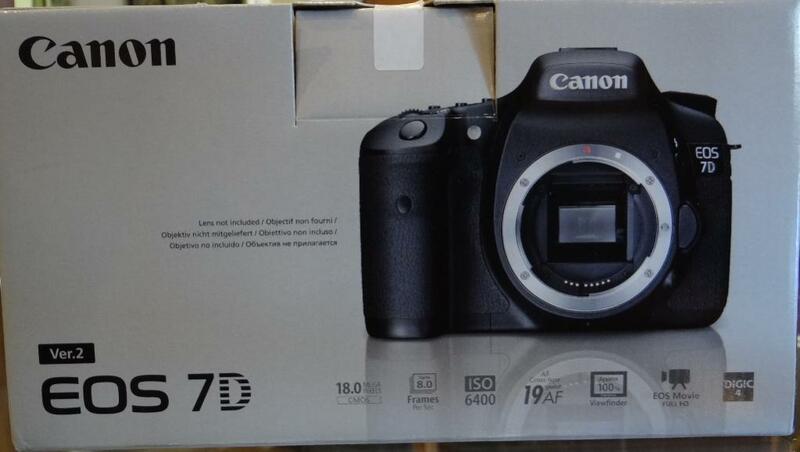 Canon EOS 7D Version 2?? I think the ad should be changed or removed? To make it all so much simpler and to make you happy I will change the listing tomorrow and just post a picture of the Canon 7D box where it clearly states that it is a Version 2 ..... that you can take it up with Canon. You're confusing aggression with irritation at nitpickers. Item being sold by Pinnacle Photographic, but Collectors World is answering this specific question on the auction? That would be much better thanks! If you knew anything about cameras you would know that version 2 of the software (actually it is the firmware if you knew what you were talking about) does not constitute version 2 of the camera! The problem is that the net is abuzz with rumors of a version 2/mark 2 of this camera, a REAL upgrade and your ad is confusing to people who might not know better into thinking they are buying something that it is not! I assume this is a gray import? Will have a chat to Canon SA today. Ok, just had a reply from Canon Japan (I am a platinum CPS member). Yes, but as stated in the link it is a FIRMWARE upgrade and not a body version 2 or mark 2 as implied by the advertisement! This has been confirmed by Canon in Japan! The word Firmware cannot be removed from the description else it is no longer correct.